This year marks 75 years anniversary of The Library Act (NSW) 1939. 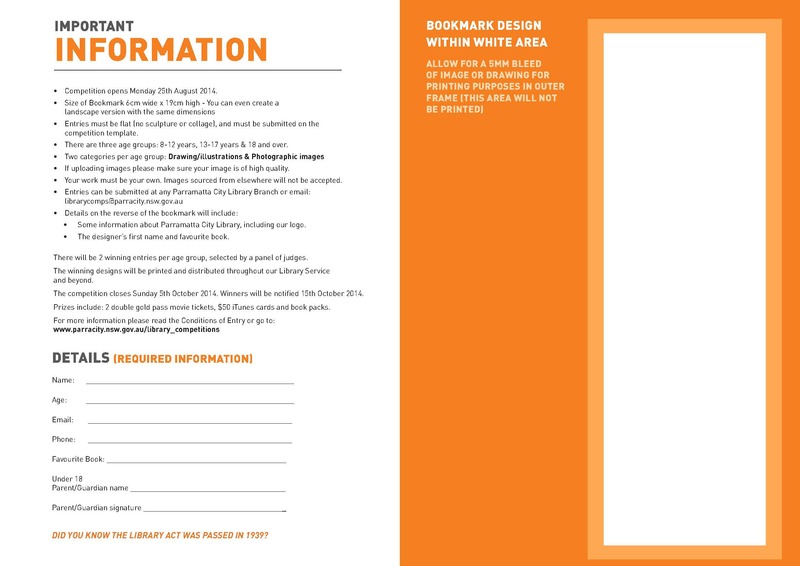 Parramatta City Library encourages its users to participate a Bookmark Competition in celebrating The Library Act. 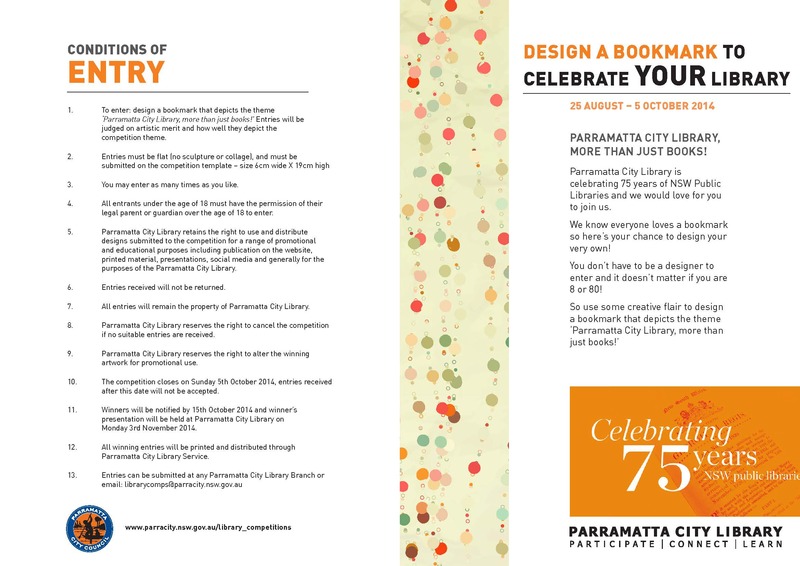 This entry was posted in Children and tagged Bookmark competition, Bookmark design, Parramatta City Library, The Library Act 1939 by admin. Bookmark the permalink.